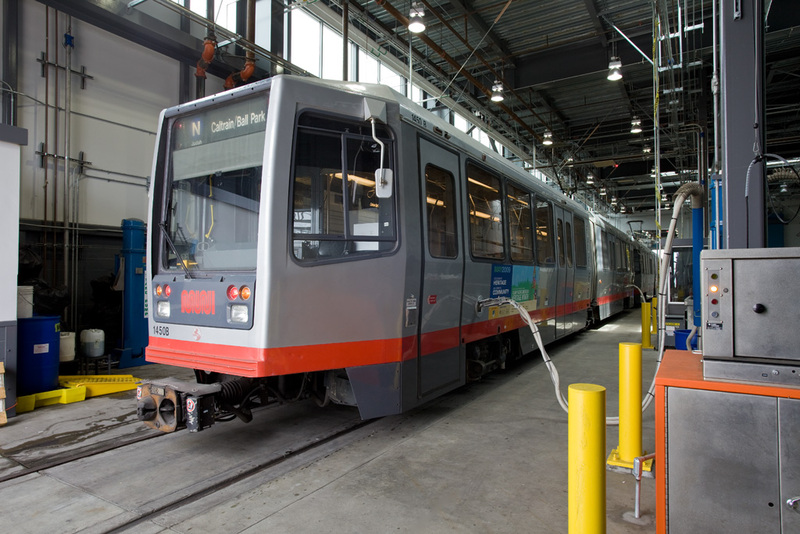 Teamed with the City and County of San Francisco Bureau of Architecture, MWA did the site planning, building design, public meetings, and coordination with artists for this new light rail maintenance and operations facility for San Francisco’s Municipal Railway (MUNI). 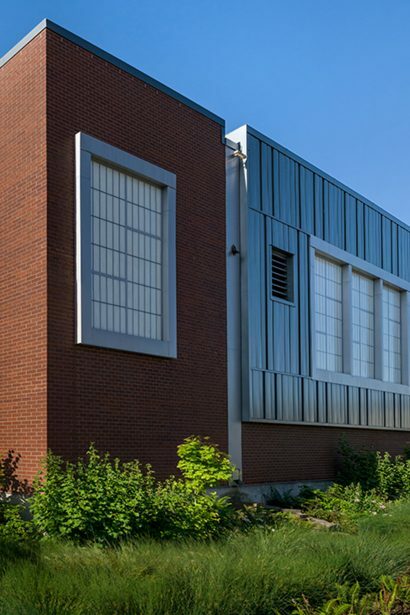 The new two-story facility houses repair and maintenance facilities on the ground floor and administrative offices, employee lockers, lounges and training rooms on the second floor. 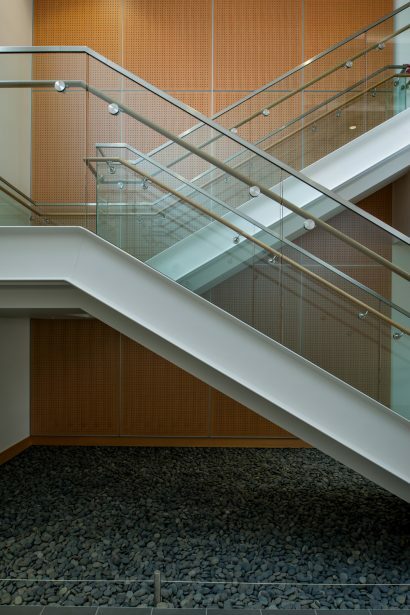 It offers expansive views of the Bay from the upper-level office and employee facilities. 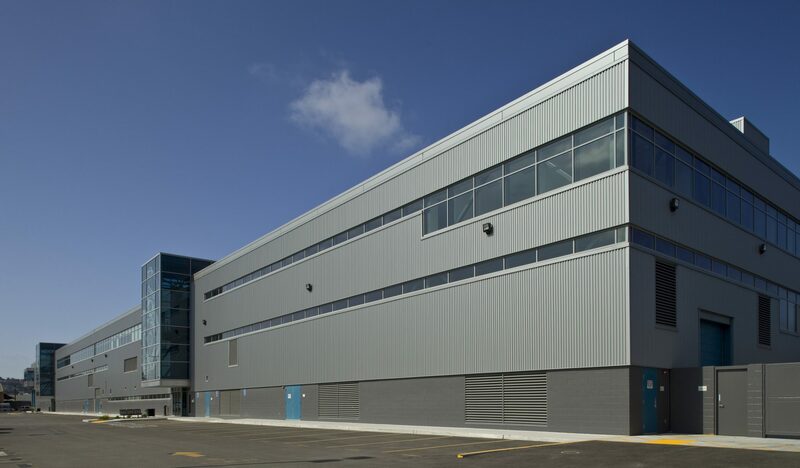 The repair bays receive generous natural light from skylights in order to improve working conditions and safety. 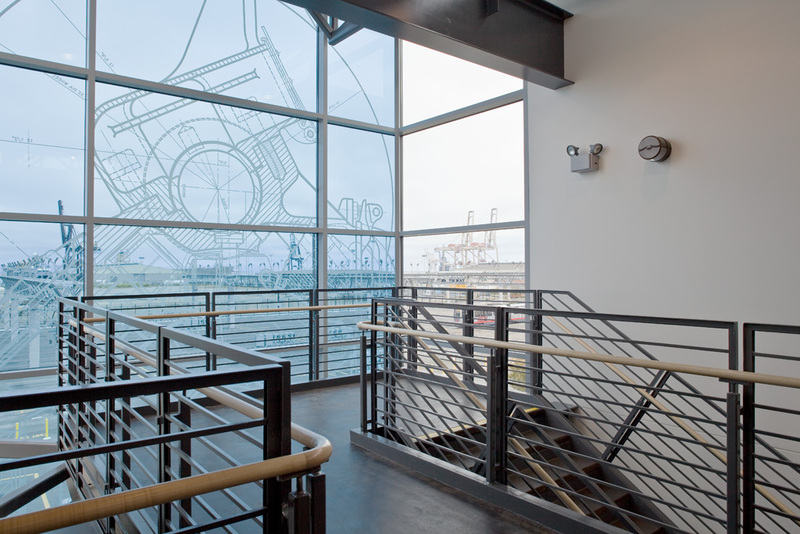 The building screens views of stored light rail vehicles from Potrero Hill residences and capitalizes on its location near the Bay by offering expansive views from the upper level office and employee facilities. 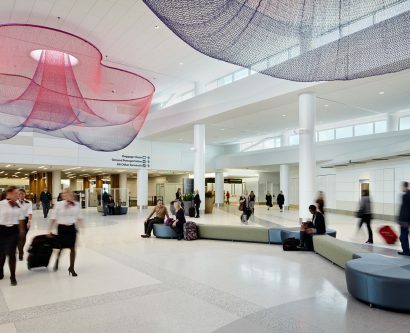 “Blueprints” an artwork consisting of forty-foot-high blue glass walls etched with white lines like a blueprint, depicting machine parts such as gears, are displayed at the two main entries.